Shopping can be expensive and packing can be painful but that doesn’t have to be the case (see what we did there?). This quick guide will empower you to take control of budgets and time so that your holiday can run as smoothly as possible before you even leave the house. Airlines have different rules about the size of carry-on luggage that you can take on-board a flight. If you are going for a city break or short trip then you may be able to put all of your clothes in to a cabin case. Take a look at this guide to see what your chosen airline allows you to take on the flight at no extra cost. Cheap flight tickets can quickly become less affordable when you have to pay for hold luggage. Packing is a mix of art and a puzzle but you don’t need a degree to be an expert; follow the tips in the video below to squeeze as much in your carry-on case as you can! Walking around a shopping centre and filling up your trolley is heaven for some and a nightmare for others. Regardless whether you enjoy the experience or not, you are likely to spend more with impulse purchases. 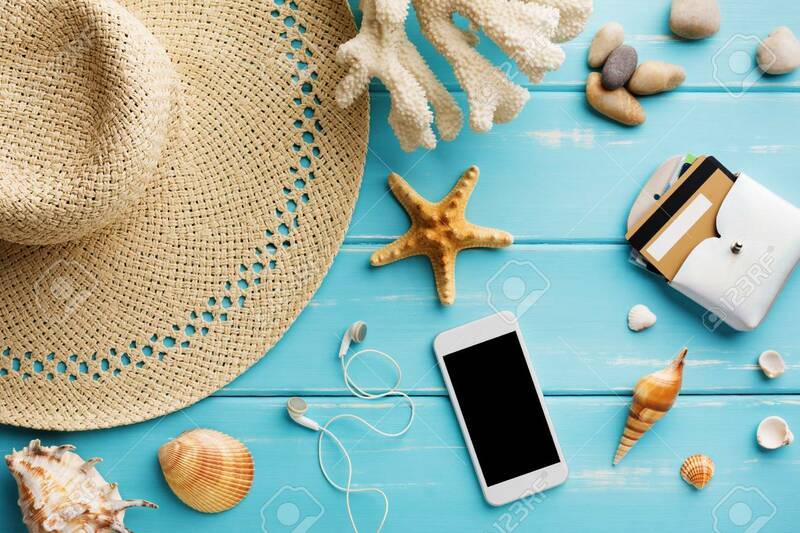 Shopping online not only gives you an even wider selection of holiday clothes to choose from but also gives you the chance to easily price compare. You can shop the sales without trawling through rows and rows of discount rails trying to find the gems. Head over to the home of online sales, Love The Sales, to start browsing clothes, luggage, outdoor equipment and more. Tip: make a list of what you need and stick to it! If you are in a position to be able to choose your departure date, you should make the most of SkyScanner’s deal finder search feature. Due to fluctuations of demand that happens on different days of the week, you can make significant flight fare savings using this tool. While searching for cheaper days to fly, it is worth looking at your second and third nearest airport. You may need to travel a bit further to board your plane but that can sometimes be worth it for more convenient flight times and cheaper fares. Travel insurance is a must-buy before you go on holiday. When booking flights, accommodation and other holiday expenses you will often be prompted to buy travel insurance as an add-on. Before being tempted to add travel insurance to your booking you should see if you can get the equivalent cover without paying as much for it. Take a look at our travel insurance page to find out what deal you can claim before your next trip. Gone are the days where holidaymakers carry travellers cheques and all of their holiday spending money in cash. Using a debit or credit card is convenient and a relatively safe way to pay for goods and services when travelling. If you are using your standard debit or credit card and faced with an option to pay in local currency or GBP then always choose GBP. The reason for this is that you are nearly always going to get a better exchange rate from your bank rather than an exchange partner who first converts currency payments before your bank do the final exchange. There are cards made specifically for holidaymakers (such as WeSwap) that may be worth taking a look at it if you are travel (or plan to) a lot. A good way to save money while on holiday!